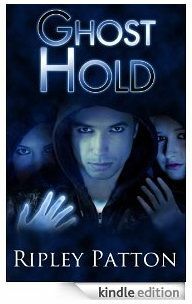 I am thrilled to announce that GHOST HAND has been nominated for the Cybil Awards, the Children’s and Young Adult Blogger Literary Awards, in the Young Adult Speculative Fiction category. I am honored to be among so many great writers. Thank you so much to Tanita Davis of Finding Wonderland, an amazing blog and blogger, for LOVING GHOST HAND and nominating it. Finalists will be announced January 1, 2014, so keep you fingers crossed for me.